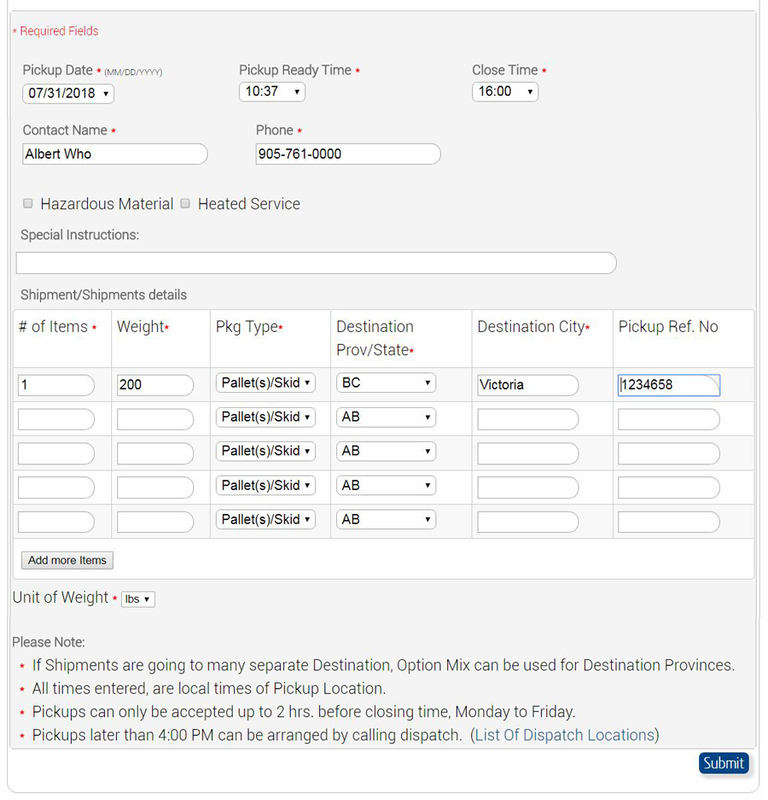 Select your order type, payment terms and pickup location. 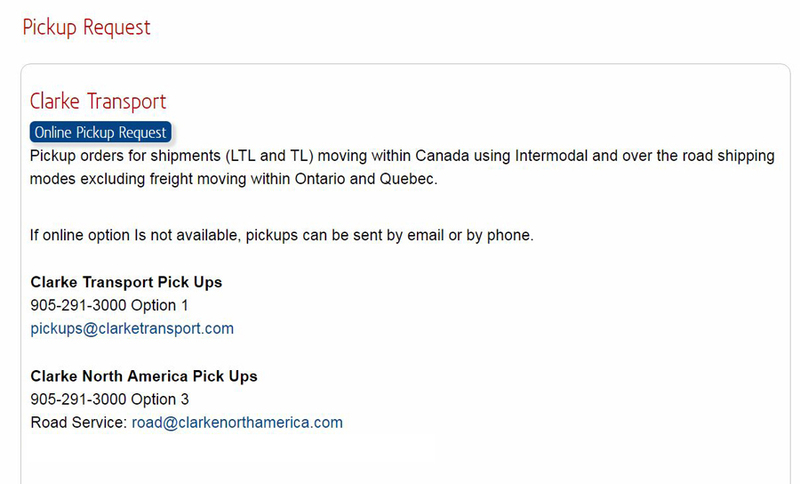 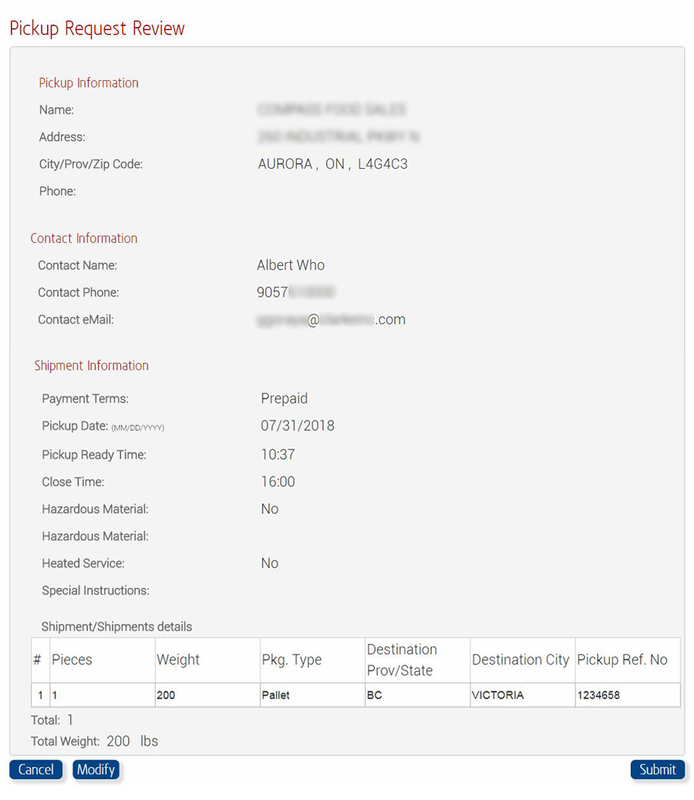 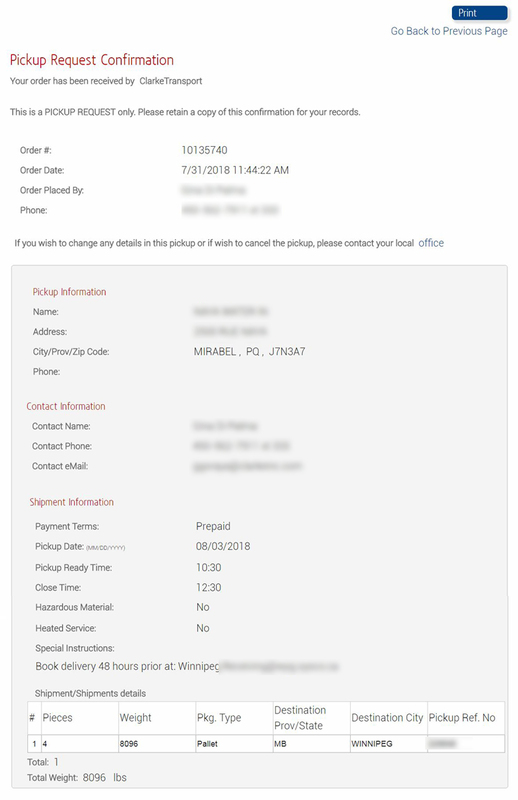 If your shipping location does not appear in drop down list, you can add new location. 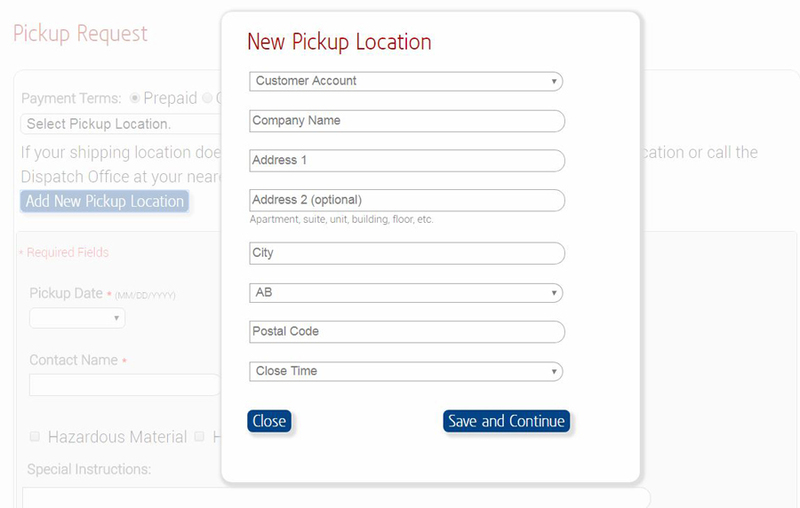 Double check the 'Pickup Review Detail' to be sure that all of the information has been entered correctly.